Hero Complex Gallery has a physical gallery located at 2020 S Robertson Blvd, Los Angeles. California and has just released “AFTER MIDNIGHT” A GREMLINS-THEMED SCREEN PRINT, which incorporates stunning blacklight inks and helps to give the illusion that the pesky creatures have hopped out of the film. 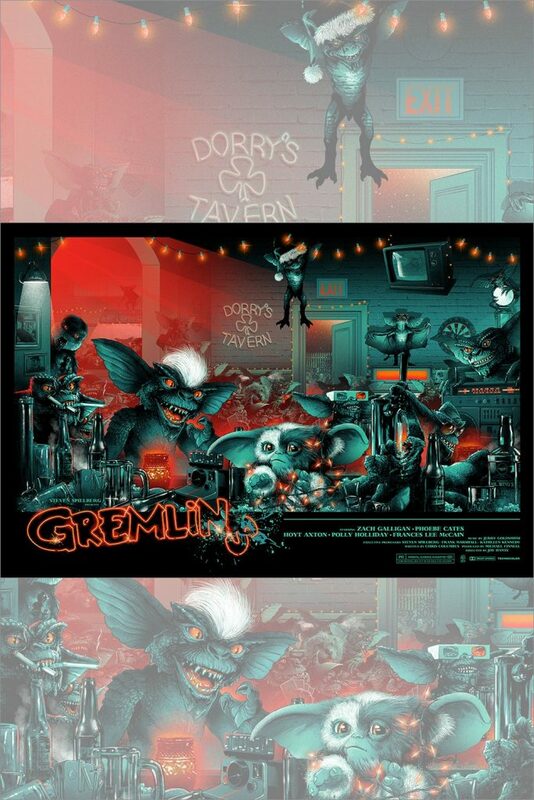 The print features a scene pulled right from the film in which the Gremlins and Gizmo are out on the town at Dorry’s Tavern. Vance Kelly has spared no expensive in illustrating even minor details that many might overlook, such as the masked Gremlin and card playing Gremlins. Even Barney, the Peltzer’s family dog, is in here somewhere. The screen print measures 36 x 24 inches and is limited to 425 available. 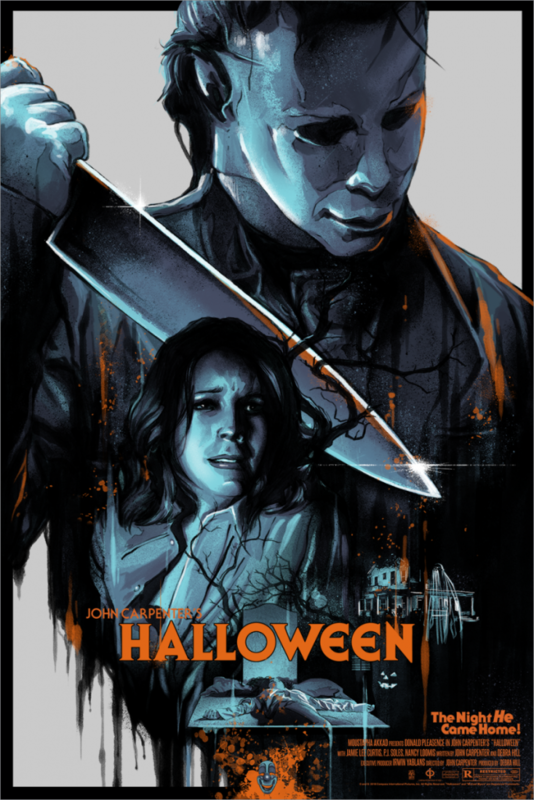 “Michael Comes Home” – This print brings to life the original Halloween film with a looming Michael front and center, with a panicked Laurie Strode below a giant knife that Myers is holding. Kelly has also added more memories to the killer collage by showing off other memorable moments that are imprinted on the minds of all fans of the original Halloween film. The use of orange lettering and dark colours for the images really helps to give the feel of impending doom in this 24 x 36 inch screen print, which is limited to 225 available. 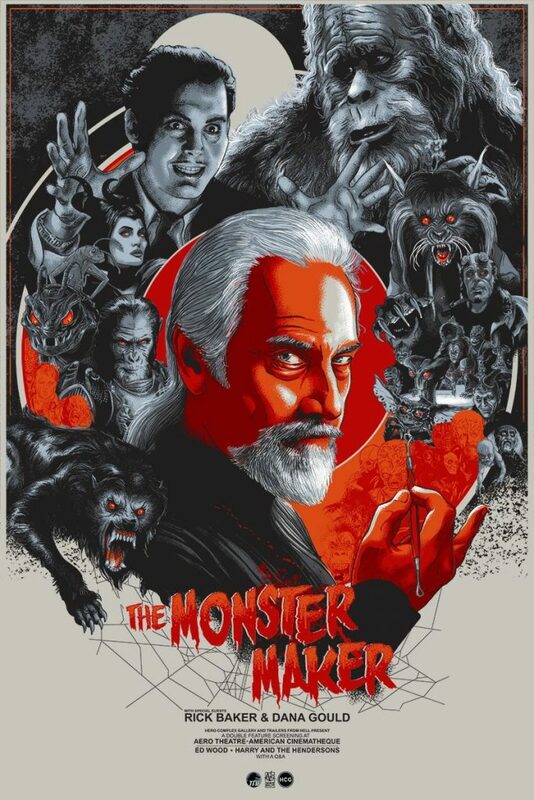 “Monster Maker” – This screen print is inspired by retired special effects artist extraordinaire Rick Baker. Kelly illustrated Baker front and center with sculpting tool in hand, and surrounded by many of the characters he is famous for (Harry and the Hendersons, Hellboy, Gremlins, The Howling and others). This particular print was made for an event where Ed Wood and Harry and the Hendersons screened, Baker was in attendance with and Dana Gould for a Q and A afterward. The 24 x 36 inch screen print, which is limited to 100, scarcely uses colours throughout and really helps to highlight one of the most beloved special effects artists of our time. A few other prints which are still in stock right now are “Freddy” (A Nightmare on Elm Street), “Black Phillip” Red Blacklight variant (The Witch) and “The Perfect Organism” original and metal variant (Alien). 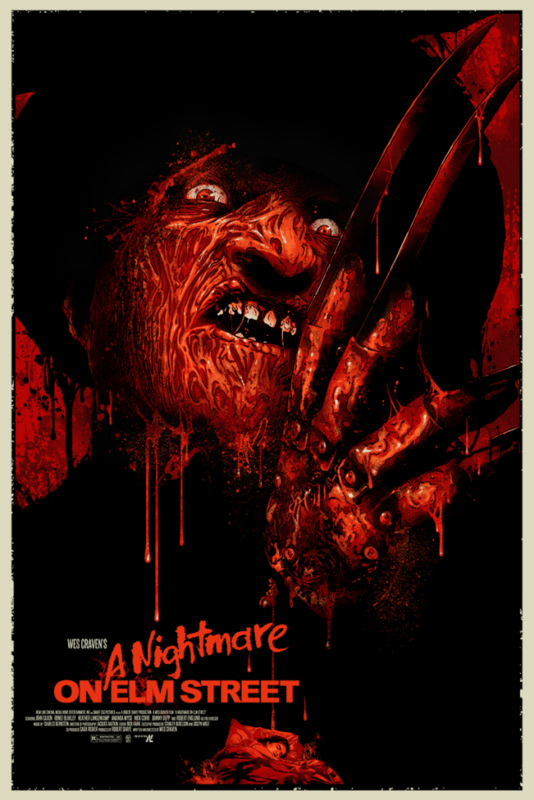 Any one of these screen prints by artist Vance Kelly and released by Hero Complex Gallery would look amazing adorning the wall of any horror fan, check out more from both in person at the physical gallery or online at the Hero Complex Gallery website.